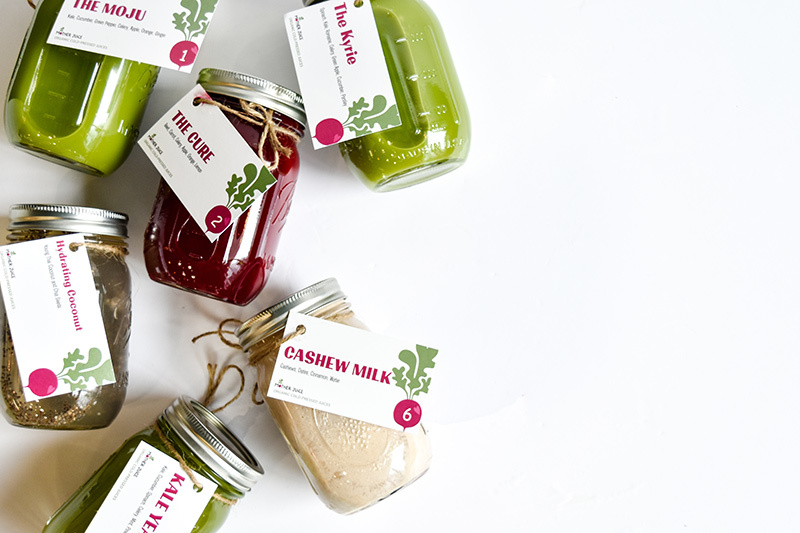 Each day of your cleanse will include six pints of our organic cold-pressed juice. Each variety of juices gives you a balanced mixed of vitamins, nutrients and flavors! Please email info@motherjuiceboston.com to place an order! What comes in my cleanse? Each day of your cleanse will include six pints of our organic cold-pressed juice. Each variety of juices gives you a balanced mixed of vitamins, nutrients and flavors. this cleanse will leave you glowing!! perfect seasonal cleanse for all us health nuts. How do I order my cleanse? 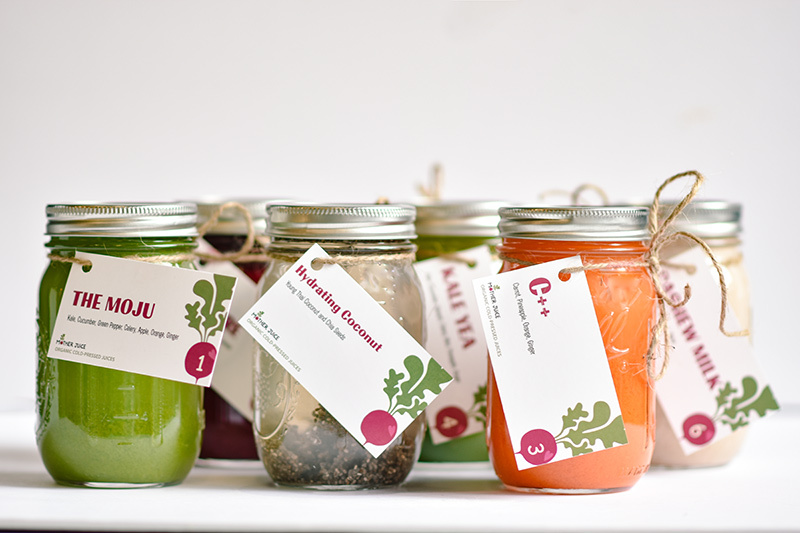 Please email info@motherjuiceboston.com to place a cleanse order. A member of our staff will be in touch with you within 24 hours. How much is my cleanse? Our cleanse is $65 per day and is served in reusable glass jars. We also charge a daily deposit of $10 that is refunded to you when you return your *rinsed* cleanse jars. Our cleanses go out Tuesday -Friday. Please let us know which day you are hoping to start, how many days you want to cleanse, and if you're interested in pick up or delivery (additional $10 per day). We do REQUIRE at least 48 hours notice before confirming an order. How do I get my cleanse? If you are picking up, just let us know where you would like to pick up your juices. We suggest picking up everyday so your juices are the absolute freshest =) If you'd prefer delivery, please send along your delivery address & contact phone number. Once we have your address we can confirm if you are in our delivery range. We typically deliver between 6:30a-9a each morning of your cleanse. If you need to request a more specific delivery window, let us know and we'll do our best to make it work. Once we receive your order, we will email you an invoice that you can pay online with a credit card to reserve your spot. Because we make each cleanse to order, we have a strict 24 hour cancellation policy. Everyone and anyone, new and experienced, can partake in our juice cleanse! Cleansing is a great way to hit the reset button on bad eating habits and gently detoxify your digestive system, from the inside out. Our juices provide the essential vitamins, nutrients and phytochemicals you need to rebuild healthy tissue. With that being said, we don't recommend juice cleanses to pregnant women, children or anyone with serious health conditions. Our juice cleanses range from 1 to 5 days and the appropriate length varies from person to person. Longer cleanses provide a deeper detoxification while shorter cleanses are a great way to flood your system without vitamins and nutrients. If this is your first time cleansing, we generally recommend 2 or 3 days so that your body is able to experience the impacts of a liquid diet. You can always adjust as you go, and add additional days to your cleanse based on how your body feels. What is the best way to prepare for a cleanse? When do I drink my juices? You will drink your first juice in the morning between 8a-9a and then one juice every 2 hours thereafter. Be sure to drink plenty of water in between juices! Warm water with lemon and herbal teas are also a great option! Can I exercise while on a juice cleanse? Yes, but be gentle. You're body is still getting a lot of nutrients but your caloric intake is likely lower than your usual. We recommend low impact exercise like walking or yoga -- the added effect of deep breathing to help you maximize your cleanse. Listen to your body and see how you feel. If rest is what you need when on your cleanse, take it! What should I do if I am really hungry? Eat! Your cleanse is intended to promote detoxification of your internal organs through a liquid diet. This gives your digestive system a chance to take a break from digesting food and work on digesting long term build in your intestinal lining. That said, if you are really hungry, you should eat! We recommend keeping it simple and consuming foods that are whole and raw. Avocados are a great way to add some healthy fats to your diet while on a cleanse. Plant based salads (no dressing) are also a great supplement. Again, listen to what your body needs! How will I feel during my cleanse? Cleansing has a different impact on everyone! Many people who have tried our cleanse have been surprised by how filling the juices are and how much energy they have. That said, detox symptoms are totally common and normal. These symptoms might include, headache, naseau and fatigue. The more prepared you are heading into your cleanse (i.e., eat whole foods and drink lots of water -- not beer & wine -- before you start), the better you will feel! What should I do after my cleanse? By the same token that you should ease your your body into a cleanse, you should also ease your way out of a cleanse. Continue to drink lots of water and keep your diet simple -- eat lots of veggies, salads, juices, smoothies, and gluten free grains!